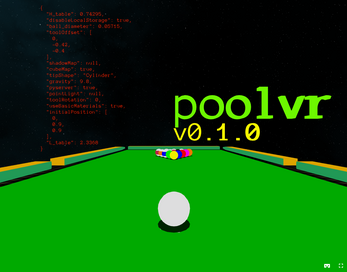 Play the latest release and get info HERE (https://jzitelli.github.io/poolvr)! 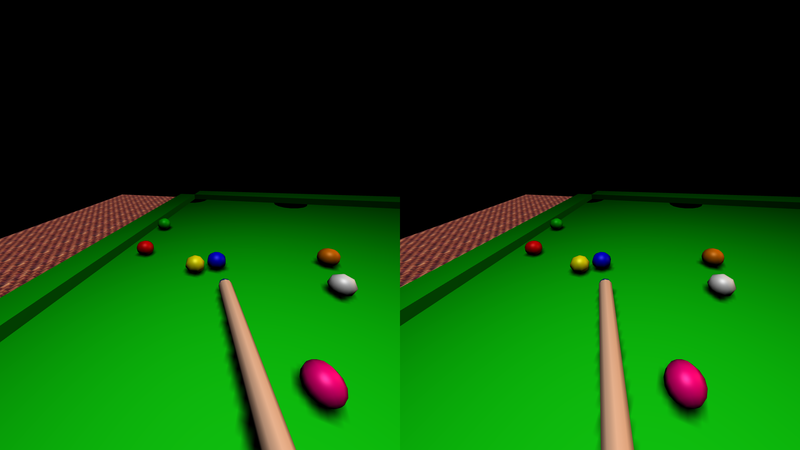 I'm sorry to say that at the time of submission to the Leap Motion 3D Jam, poolvr is more of a tech demo than a polished WebVR / Leap Motion experience. 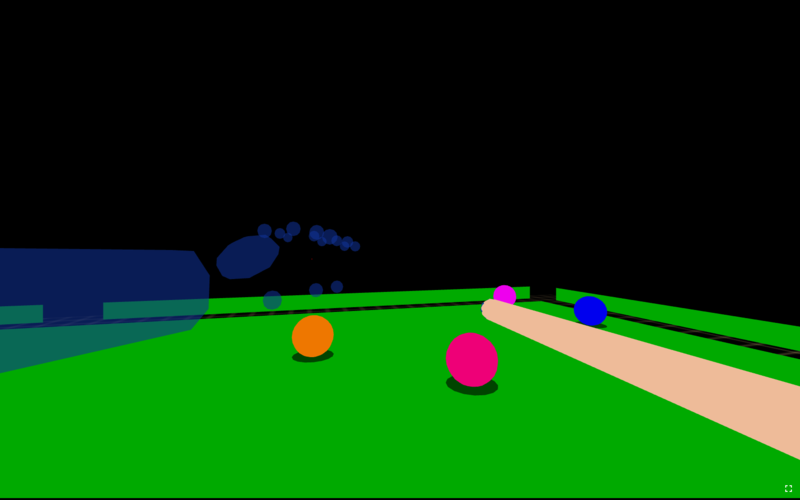 I ran out of time before I could implement physics for the pockets, or any game logic - you can just hit balls around with a cue stick which uses the leap.js tool tracking functionality. The graphics could be vastly improved (somehow I left in an atrocious place-holding texture on the floor), there is no audio, tracking could be made more robust, no real options are exposed through the interface (even though they exist in the code), etc... 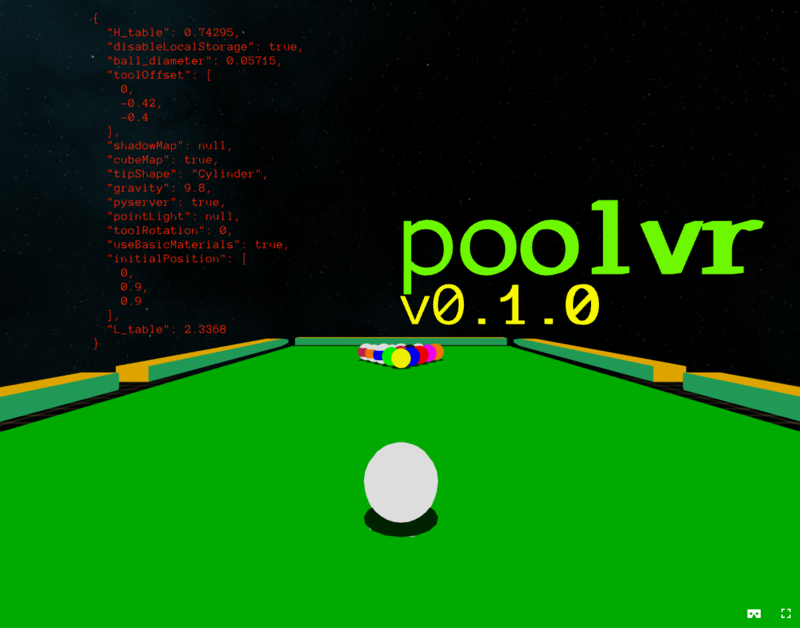 But I will continue to work on poolvr! It will be awesome some day, I promise! The LeapMotion sensor should be mounted to your HMD. Allow Web Apps, Hand Tracking, and Tool Tracking should all be enabled via the Leap Motion Control Panel. For proper Oculus Rift DK2 support (the only VR device I tested with), you need to use a WebVR-enabled browser. Versions are available from Mozilla or Chrome. 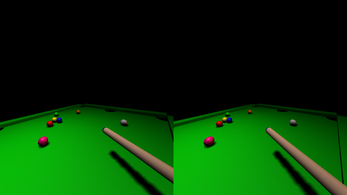 hit balls with the tip of the cue stick! 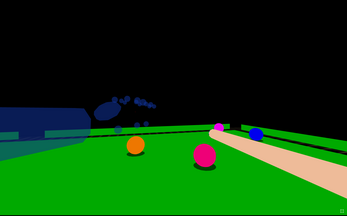 The rest of the stick does not interact with the balls. The pockets are just for show - you can't pocket any balls!